Liquidator Graham Ward nursing a broken hand and facing a fee review. Nursing a broken hand under a black wool sock, liquidator Graham Ward endured more than an hour of cross-examination last Friday, courtesy of a company director seeking to claw back a chunk of the $165,000 in remuneration, expenses and disbursements that Ward and his Mackay Goodwin partner Domenic Calabretta have charged as administrators and liquidators of Securimax Pty Ltd.
“There has been a very substantial transfer of the value from the creditors to the administrators,” NSW Supreme Court Justice Paul ‘Proportionality’ Brereton said after hearing Ward and the plaintiff’s witness testimony and submissions from their respective counsel. “In proportionate terms the lawyers received 10 per cent of the assets and the liquidators received 66 per cent. “This was a company that effectively had $250,000 to distribute. As a result of the voluntary administration, $60,000 survived to the liquidation fund from which it will be further dissipated”. The judge ordered that the remuneration the Mackay Goodwin duo earned during their seven week stint as VAs of Securimax be subject to a review. He dismissed however a further application for a review of their remuneration as liquidators of Securimax. These days known as ACN 159 605 188 Pty Ltd, Securimax was placed into voluntary administration(VA) by sole director and shareholder Graham Potter on October 10, 2016. 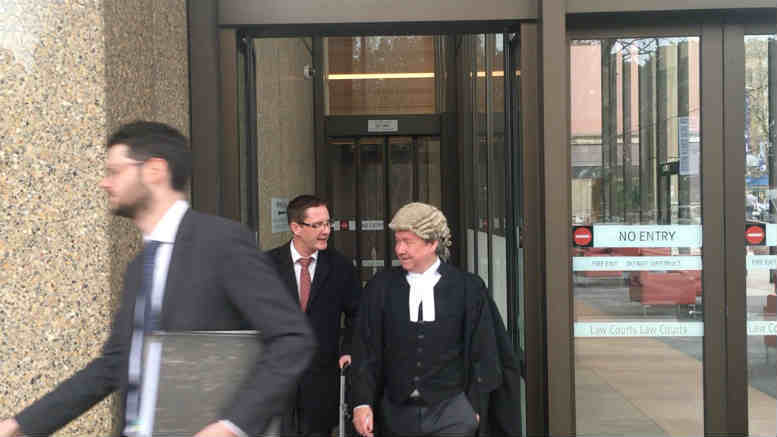 He testified on Friday that he had initially contacted Mackay Goodwin subsidiary Australian Debt Solvers seeking advice about how he could deal with his debt issues whilst retaining control of the business. According to Potter, ADS director David Hill told him “VA was the way to go” and he therefore expected the VA period would allow him the time to formulate a deed of company arrangement (DoCA) that would satisfy his creditors. The court heard that after closing one of the businesses’ division Ward and Calabretta continued to trade the remaining operations whilst preparing them for a sale. Minutes of the November 14 meeting of creditors show that the Securimax business had by that date already been sold to a third party for $250,000, with $40,000 of that going to Potter for a trademark he owned independently of the company. The minutes also reveal that the Australian Tax Office (ATO), Westpac Bank and Capital Finance voted in favour of the resolutions approving remuneration for the administrators, their partners and staff in the sum of $108,217.00 for the period from October 10 to November 2. A second resolution approving a further $41,783.00 was also approved, indicating that the administrator’s pay didn’t appear to trouble the company’s primary creditors. 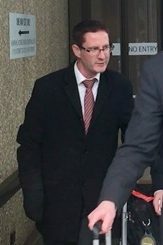 The meeting was then adjourned to allow Potter time to propose a DoCA but when creditors returned on November 28 Potter was packing a replacement practitioner in the form of Martin Walsh of Smith Hancock. Why Potter would’ve bothered proposing a DoCA after a sale had been negotiated wasn’t discussed in the minutes or in court. Ward and Calabretta resisted the application for a remuneration review, arguing that the creditors had approved their pay and that they had had to take on the risk to trade the business whilst seeking a buyer or awaiting a DoCA proposal. One of the plaintiff’s two barristers, Roger Marshall however had more than one grenade to lob, suggesting at one point that Mackay Goodwin staff used a previous Form 524 for the Securimax Presentation of Accounts and Statement report and neglected to delete all former references. This, Marshall told the court, would explain why there were references to “gambling” and “Rugby tipping”. Ward rejected that, saying that to the best of his recollection there had been references to the purchase of lottery tickets. He was also questioned about the company’s security license, which the court heard was rendered invalid by the act of insolvency. Ward replied that he had written to the NSW Police expecting that the reasons he gave for why the license should remain valid would be accepted. Given Justice Brereton’s well known views on the inadequacies of hourly-based costing of liquidator practice remuneration, Ward will need more than hope if he and Calabretta are to avoid having the axe of proportionality taken to their fees. The matter is is set to return to the courts for directions on October 16. 1 Comment on "Judge orders review of Mackay Goodwin fees"
The inadequacies of the hourly rate payment system is simply a means to further clip creditors. A group of laypeople are expected to approve huge fees based on an IP’s word. (One sentence deleted on the grounds of outrageousness) The creditors are the last consideration in the insolvency process.